Nearly everyone has heard about the car crash that occurred on August 31, 1997, which resulted in Lady Diana’s death. But here’s a recap of the events. The accident occurred in the Pont de l’Alma road tunnel in Paris, France. Diana’s boyfriend, Dodi Fayed, and the driver of the sleek Mercedes-Benz W140, Henri Paul, were pronounced dead at the scene. Trevor Rees-Jones, Diana’s body guard, was the sole survivor. Although the media pinned the blame on the zealous paparazzi who relentlessly pursued the couple, the chauffer’s reckless actions and alcohol consumption ultimately garnered the blame. But what really happened that night? And who was responsible? Let’s backtrack to that time. On Saturday, August 30, 1997, Diana and Dodi had left Sardinia on a private jet and arrived in Paris. They’d stopped there en route to London, having spent nine days sailing the French and Italian Riviera on Fayed’s yacht, Jonikal. After having dinner at the hotel, they intended to spend the night at an apartment in Rue Arsène Houssaye. But a large group of paparazzi had gathered at the front of the hotel in hopes of getting shots of the couple. Henri Paul, the head of security at the Hôtel Ritz, which Dodi’s father, Mohamed Al Fayed, owned, had been instructed to drive the hired 1994 Mercedes in order to elude the paparazzi. A decoy vehicle left the Ritz first from the main entrance on Place Vendôme, attracting a throng of photographers. Diana and Fayed then departed from the hotel’s rear entrance at Rue Cambon at around 12:20 AM. They were the rear passengers, Diana on the right and Dodi on the left. Trevor Rees-Jones was in the right front passenger seat. After crossing the Place de la Concorde, they drove along Cours la Reine and Cours Albert 1er, the road along the right bank of the River Seine, into the Place de l’Alma underpass. Around 12:23 AM, at the entrance to the tunnel, Paul lost control of the car. Traveling 65-70 MPH in a 30 MPH zone, the Mercedes swerved to the left of the two-lane road before colliding head-on with the 13th pillar, which supported the tunnel roof. To the screech of tires, the vehicle spun 180 degrees, and then slammed backwards into the stone tunnel wall. Bosch horn blaring, lights flooding the darkness, smoke spewing from the hood, the Mercedes came to an abrupt stop. The impact had caused substantial damage to the vehicle, crumpling the front half like a tin can. There was no guard rail between the pillars to prevent this kind of impact–and there still isn’t today. Click here to watch an interesting reenactment of the crash on youtube. Photographer Romuald Rat was the first person on the scene, about thirty seconds behind the Mercedes on his motorcycle. He had training in first aid, and he uneasily approached the car to see if he could help. At the same time, Dr. Maillez was driving through the other lane of the tunnel and chanced upon the scene. He rushed to the car and noted that the driver and Doti were dead. Still conscious, Rees-Jones had suffered multiple serious injuries and was screaming and shouting from pain. Diana, whom he didn’t recognize as the princess, appeared to be the most critical. Though he noted no visible injuries, she was in shock, and so Maillez rushed to his car to get his medical kit and oxygen. By the time he returned to the Mercedes, many of the photographers were on the scene. One had tried to take a photo inside the car. Several were milling about the vehicle and taking shots, flash blazing through the darkness. Maillez ignored them and focused on the seriously injured Diana. Damien Dalby, a volunteer fireman, and his brother, also chanced upon the scene. Trained in first aid, Damien helped Rees-Jones, while his brother pushed the photographers back. She was crouched on the floor of the vehicle with her back to the seat. Maillez later described her as bleeding from the nose with her head resting on the back seat. Her knees were stuck between the first and second row of seats. She cried out in pain, but he told her that help was on the way and to stay awake. There was no answer. Just blinking. He raised her head to facilitate her breathing and supplied her with oxygen. Two policeman arrived at 12:30 AM and immediately maintained a safe perimeter around the scene of the accident to keep the photographers and other onlookers away from the car, but even from a distance, the photographers continued to snap shots. This incited tempers. When the police realized who the victim was, they called for backup. Shortly afterwards, the seven paparazzi remaining on the scene were arrested. Emergency medical crews arrived seventeen minutes after the crash, and Dr. Maillez turned Diana’s care over to them and left the scene. Fire officers tried to resuscitate Doti, but a physician pronounced him dead at 1:32 AM. Paul was also declared dead. Both were taken to the Institut Médico-Légal, the Paris mortuary. Autopsy examinations concluded that Paul and Fayed had both suffered a rupture in the isthmus of the aorta and a fractured spine. Diana had to be cut out of the vehicle before she could be transported to the hospital. She was removed from the car at 1:00 AM. However, she went into cardiac arrest. Following external cardiopulmonary resuscitation, her heart started beating again. She was moved to the SAMU ambulance at 1:18 AM, left the scene at 1:41, and arrived at the Pitié-Salpêtrière Hospital at 2:06 AM. Despite attempts to save her, her internal injuries were too extensive. Her heart had been displaced to the right side of the chest, which tore the pulmonary vein and the pericardium. Lengthy resuscitation attempts, including internal cardiac massage, failed to revive her. She died around 4:00 AM. Hospital doctor, Jean-Pierre Chevènement, France’s Interior Minister, and Sir Michael Jay, Britain’s ambassador to France, announced her death to a stunned public at a press conference. Later that morning, Chevènement, French Prime Minister Lionel Jospin, Bernadette Chirac (the wife of the French President, Jacques Chirac), and Bernard Kouchner (French Health Minister), visited the hospital where Diana’s body lay and paid their last respects. After their visits, the Anglican Archdeacon of France, Father Martin Draper, said commendatory prayers from the Book of Common Prayer. At around 2:00 PM, Diana’s former husband, Charles, Prince of Wales, and two older sisters, Lady Sarah McCorquodale and Lady Jane Fellowes, arrived in Paris. They left with Diana’s body ninety minutes later. Around the world, Diana’s death was met with extraordinary public expressions of grief. Flowers were left outside Kensington Palace, and her funeral at Westminster Abbey on September 6 drew an estimated three million mourners in London. The television coverage was aired to two hundred countries in forty-four languages and was watched by as many as two billion people. The reaction of the Royal Family to Diana’s death caused resentment and outcry. At their summer residence at Balmoral Castle when the accident occurred, their initial decision not to return to London or to mourn more publicly was criticized. Their rigid adherence to protocol and their concern to care for Diana’s grieving sons, was interpreted by many as a lack of compassion. In particular, the refusal of Buckingham Palace to fly the Royal Standard at half-mast provoked angry headlines in newspapers.”Where is our Queen? Where is her Flag?” declared The Sun. After the end of the funeral ceremony, the coffin was driven to Althorp in a Daimler hearse. Mourners cast flowers at the funeral procession for almost the entire length of its journey and vehicles even stopped on the opposite road of the M1 motorway as the funeral procession passed. In a private ceremony, Diana was buried on an island in the middle of a lake. In her casket, she wore a black Catherine Walker dress and is eternally clutching a rosary, which had been a gift from Mother Teresa of Calcutta, a confidante of Diana, who’d died the day before. End of story? Not by a long shot. Since the fatal accident, numerous conspiracy theories have abounded. One of the foremost was perpetuated by Dodi’s father, Mohamed Al Fayed. He and the Daily Express claimed that the crash was orchestrated by MI6, the UK’s secret intelligence service, on the instructions of the Royal Family and suggested that Diana was assassinated. Mr. Fayed accused Prince Philip of masterminding the crash and even suggested that Prince Charles was involved. He alleged that the motive was to stop Diana from marrying his Muslim son. In 1999, an eighteen-month French judicial investigation found that Henri Paul was intoxicated while driving and had lost control of the vehicle, which was traveling at high speed. Anti-depressants and traces of a tranquilizing anti-psychotic found in his body, may have heightened his inebriation and impaired his judgment. In short, the French investigation concluded that the paparazzi photographers were not near the Mercedes when it crashed and were not to blame. The only mystery that remained in the French investigation was a white, Fiat Uno. It’s believed that, before entering the tunnel, the two cars collided as white paint was found on the Mercedes. The driver of the Fiat has never been traced, and the specific vehicle has never been identified. Very likely, this was because the driver had no insurance and fled in a panic. Although the French investigation attributed Diana’s death to an accident, the conspiracy theories persistently raised by Fayed and the Daily Express pressured the British government to take action. On January 6, 2004, six years after Diana’s death, Michael Burgess, the coroner of the Queen’s household, held an inquest into the deaths of Diana and Fayed to investigate the conspiracy theories. He asked the Metropolitan Police Commissioner, Sir John Stevens, to make inquiries in response to the widespread speculation that the deaths were no accident. The police investigation reported its findings in Operation Paget on December 2006. In January, Lord Stevens explained in an interview on GMTV that the case is substantially more complex than once thought. The Sunday Times wrote on January 29 that agents of the British secret service were cross-examined, because they were in Paris at the time of the crash. Many publications suggested that these agents might have exchanged the blood test of the driver with another blood sample–although no evidence for such tampering has been found. 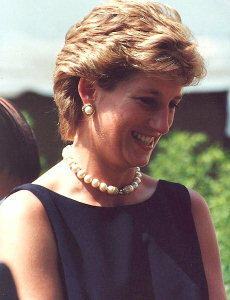 Even now, many years after the tragic event, interest in the life of Diana and the accident has remained high. And the conspiracy theories persist. So what is the truth? What or who was responsible for the accident? I endeavored to find out. F ocusing on the cause of the accident, I connected immediately. 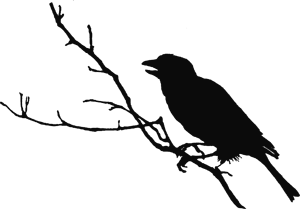 My connection was brief–one of the briefest I’ve ever had. 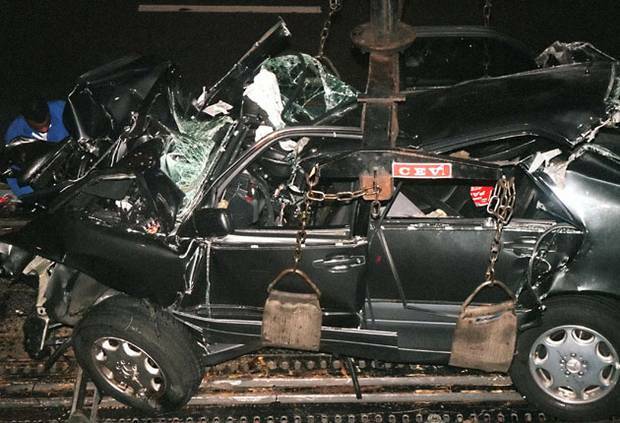 I went zipping through a dark tunnel when I suddenly found myself inside the moving Mercedes on that fatal night. I was at an odd angle as if I poked through the dashboard and was peering into the empty space between the driver and the body guard’s seat. In my visions, I often find myself at odd angles like this (sometimes from the ground) so that didn’t alarm me. The sheer force of the vehicle moving at high speed, a ominous sense of its power, the flickering shadows, and my knowledge of the tragedy that was to come, however, did instill some trepidation. I had to remind myself that I was not there in a bodily sense. The crash couldn’t hurt me. No occupant of the vehicle was visible as if I was taking a wild ride in a ghost car that was steered by an invisible hand. This was because, as I was soon to learn, the occupants were irrelevant to what I needed to see and experience in order to get the answer I sought. Suddenly, a painful flash glared into my vision. It was like a crack of white lightening in my head, in my eyes. My temples throbbed. I literally felt weak and sick. The force of that scalding burst thrust me from the vision. I believe the intense flash I experienced happened that night in the car just before the accident. It could have been a high-power camera flash, the lights of another vehicle, or something else entirely that’s unknown to me. Whatever it was, it was instrumental in the accident and apparently came from behind the car initially–thus the reason I was positioned backward in the vehicle. That isn’t to say that the driver wasn’t intoxicated or that the car wasn’t speeding–I know it was speeding as I felt its intense motion and force in my connection. However, the flash was crucial in the accident as it was so intense, so blinding that it was enough to claim the driver’s attention during a critical moment. The absence of the flash might have significantly altered the outcome. If it hadn’t happened, the driver may have been able to get the car under control to avoid the horrendous impact. What I saw doesn’t prove or disprove any conspiracy theory as I didn’t see the source of the flash. I have no idea what the source was, who did it, or why. That’s also no accident. I saw what providence allowed me to see and no more. For whatever reason, the source is supposed to remain a mystery. However, the fact that I saw no occupants could also be significant. Surely, if murder had been committed, I would have seen more. I would have seen the occupants, would have gotten something more definite about the victim–or the killer. Why? Because that’s the way my visions work. So I’m inclined to believe, that though a few mysteries persist in this case, the crash was just a horrible accident. Whatever that flash was, I don’t think the intention was to purposefully cause harm to the occupants of the Mercedes. Likely the mysteries surrounding this unfortunate accident will never be solved, but, we can keep our love and honor for Lady Diana in our hearts forever. Rest in peace, Lady Diana. May your spirit know everlasting comfort. This post made me think. Very interesting and well-written. I wish I could write to Marie directly, but tell her I love her psychic work. I wish she would look into the big foot mystery.